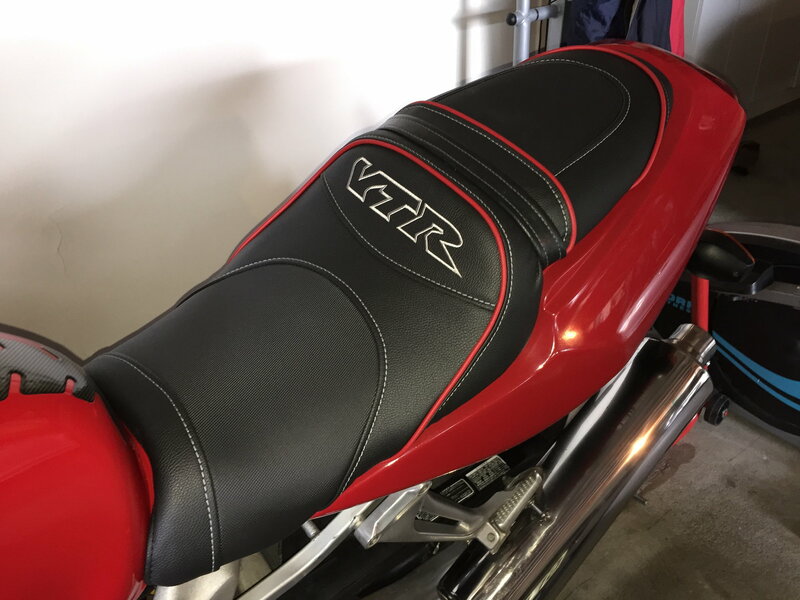 Hey folks, I don't know if anybody has a stock seat and the rear cowl for a red VTR but if your willing to sell it let me know. Maybe it's possible you have a recovered stock seat? Try to post a pic, it might also help sell it to offset costs or maybe start trade negotiations. PM sent. I have a stock seat. Also have a Second Look cover for a red bike, as well as a really nice all black Sargent, also in the classifieds. From the little I can see in your Avatar pic, it looks to be the same as my seat (different colours maybe), which is an aftermarket cover over the stock foam and base. If so, a stock rear cowl will fit on just fine. THAT'S EXACTLY WHAT IT LOOKS LIKE!!! I was told that seat is NOT stock. Flip it over (the seat) and show us a pic to know for sure. The seat COVER is not stock, the foam and base likely are. Put the seat up on this site and Ebay for sale or trade for a clean stock one and you will get offers I bet. I have a red cowl but is is no longer clean with some minor scratches...and a stock seat or two..... but Im not interested in a trade, and I bet you can get that form someone.